Classes are taught all around London at various health clubs, studios, colleges, local businesses and private homes for two people or more. These can be set up at convenient locations, and be catered towards the specific needs of the group. 1:1 sessions generally take place at one’s home, and focus on the individual’s needs. The first session starts with a postural and body analysis along with an assessment of one’s overall health history. Keeping in mind each individual’s goals (whether it be sports rehabilitation, increasing flexibility or general toning), a ten-week plan is put in place. Day-to-day exercises are also integrated into each class (ie walking with better posture/’gait’, sitting down at a desk in correct form, sleeping with comfort and ease, sitting and standing while maintaining alignment). Pilates integrated with more of an aerobic work-out. 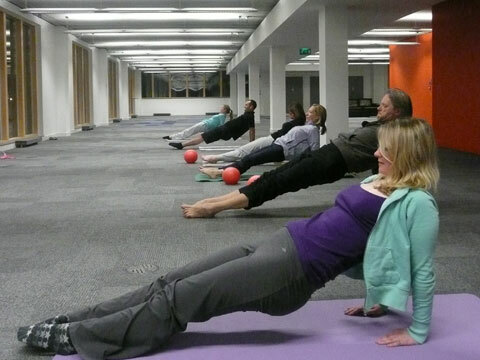 Classes might start with running and/or walking in the park or perhaps a more vigorous warm-up, and continue with an increased level of energy throughout the class (combining pilates repertoire with series of ‘pilates-safe’ exercises such as squats, lunges, push-ups and the ever-challenging plank! ).